Even though it's winter, we had a lot of fun tasting unique flavors of ice cream available in Okinawa Prefecture's Ishigaki Island. 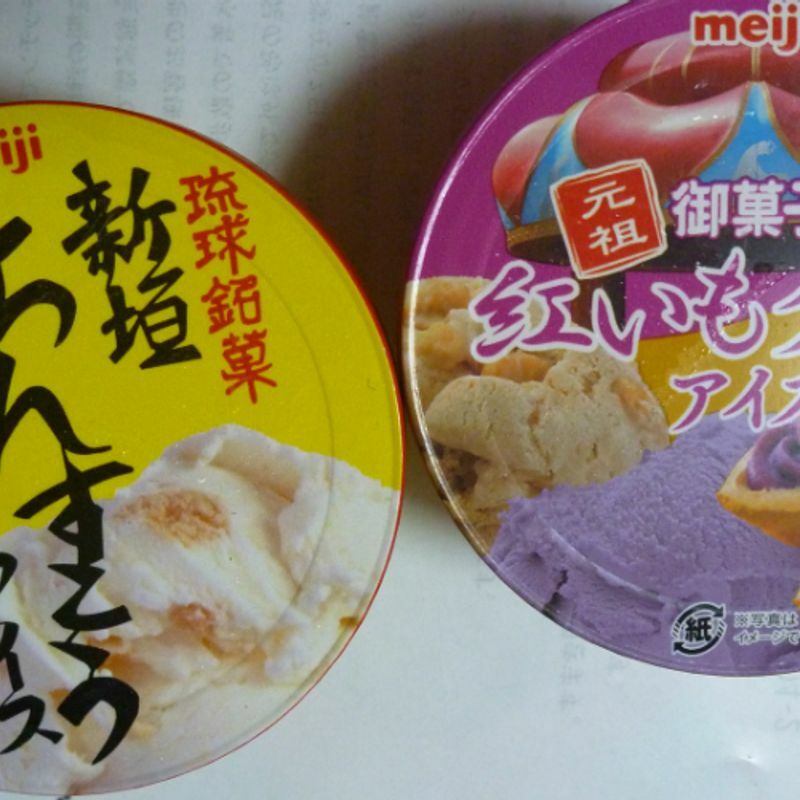 Here are the kinds we tried, found in the local (Aeon) Max Value supermarket, from Blue Seal and special flavors distributed by Meiji. Chinsukou (salt cookie) and beni imo (red yam) tart flavors. Blue Seal's shiquasar sorbet, mango, and 'sugar cone' which is actually sugar cane. 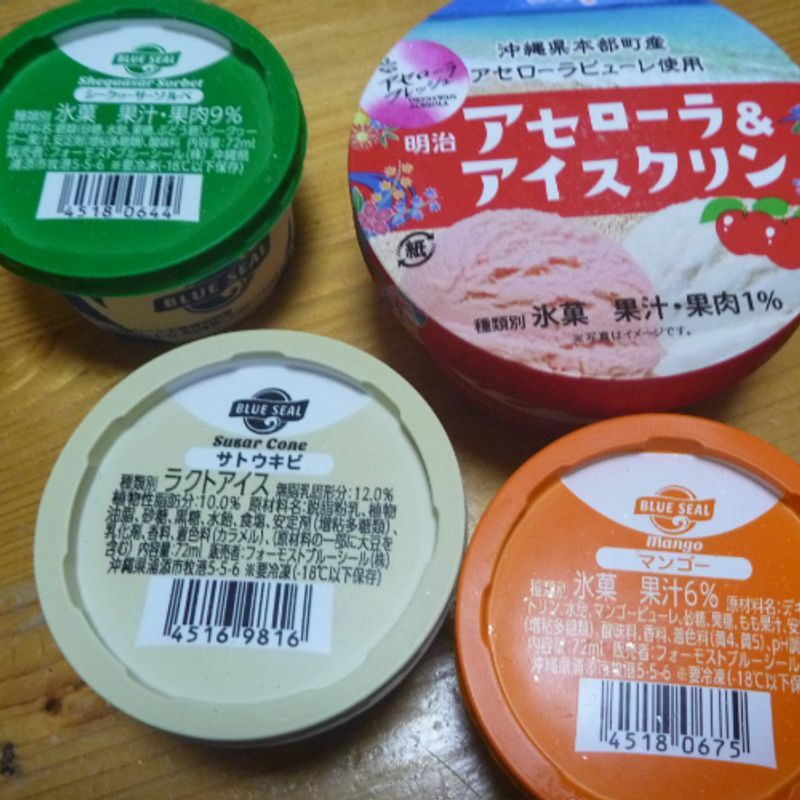 Meiji's acerola cherry and milk ice cream. We also tried the locally made gelato by Miru Miru in sugar cane, guava, pineapple, and beni imo. Yum!